I hit the jacket pot when I spotted this Jcrew tee (similar) and you know why? Because it has all of what I love! Stripes and floral. (sidebar...since relocating to the city for work I am in this store at least once a week...such a shame!) It makes for a great combo doesn't it? 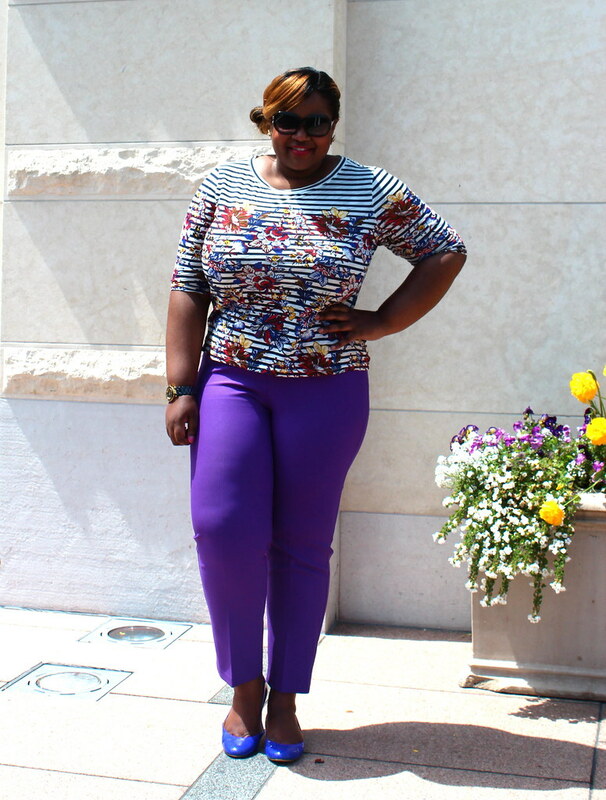 I couldn't stop there I had to enhance the look with one of my favorite thrift finds, the gorgeous purple trouser (I'll never let it go!) 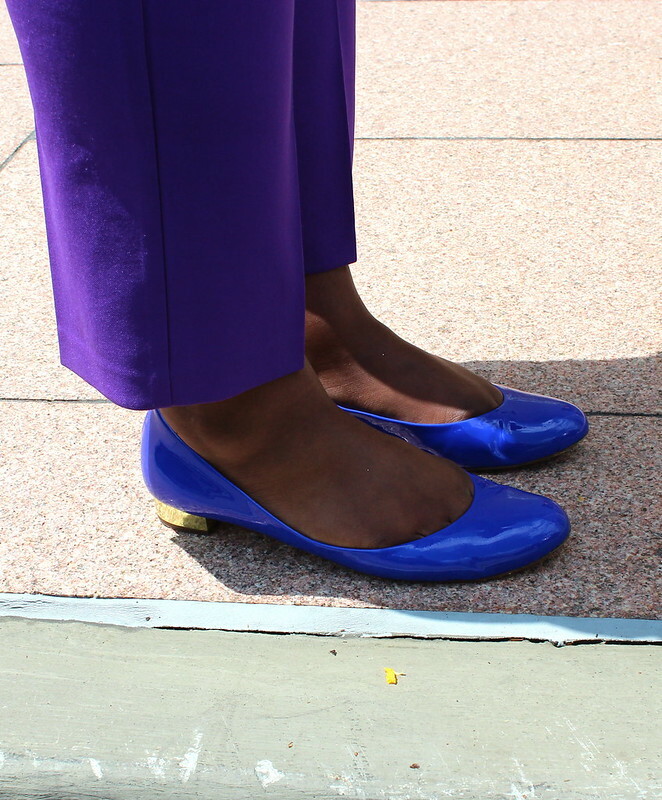 and since blue is always in fashion I threw on another Jcrew stunner, these cobalt blue flats. Loved these at first sight too! Mainly for the pizzazz of the gold heel completing the look of the shoe. Life does get good when there are all these great colors to play around with. My sunglasses are also from Tory Burch (try similiar pair). 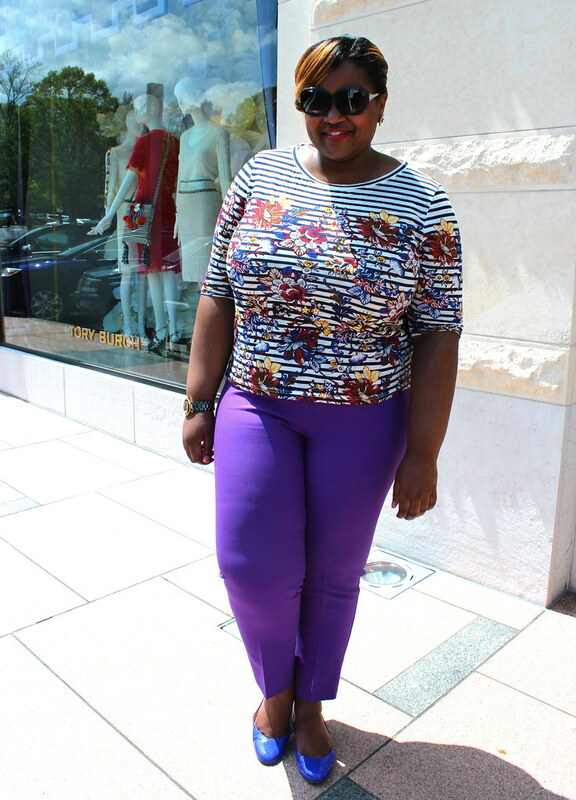 Such a wonderful Spring outfit! The shoes are wonderful! 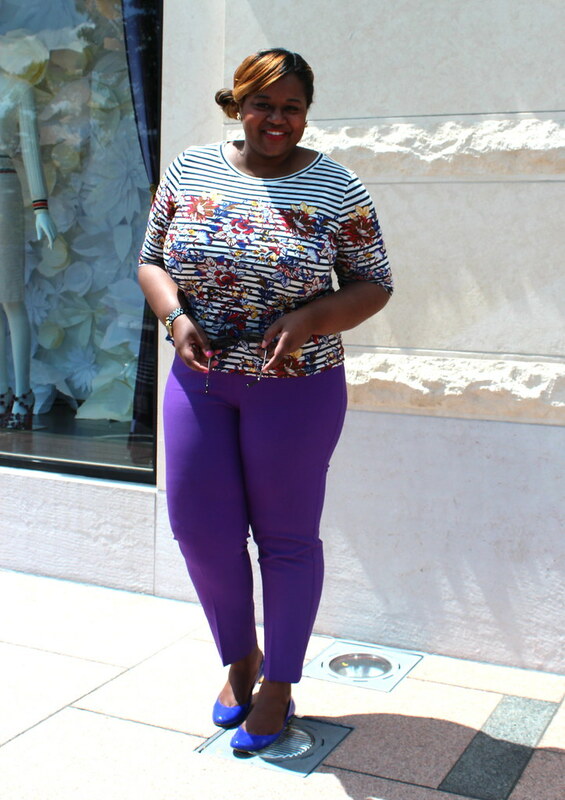 @grownandcurvywoman I know you are already set for spring with those wonderful fashion colors you wear!